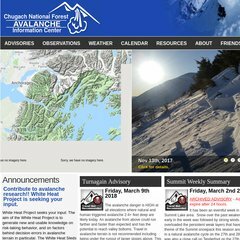 Topics: Advisories, Turnagain Advisory, Summit Advisory, Cnfaic Videos, and Observations. cnfaic.org OFFICIAL REPORT FROM ALASKA MOUNTAIN RESCUE GROUP*** Bill Romberg ..
Its 2 nameservers are ns2.server275.com, and ns1.server275.com. Its IP Number is 64.14.68.57. PING www. (64.14.68.57) 56(84) bytes of data.